Join us for 3 days of personal discovery and learning through partnering with horses! A non-refundable deposit of $85.00 will be required at time of registration. The remaining payment should be paid in full, 1 week prior to the date of the camp. At Whispering Equine we hold the concept of horses being sentient beings, in high regard and base a lot of our teachings from that. One dictionary definition of sentient is; having the conscious power of perception by the senses. But what does that really mean and how does that apply to horses? To us, it means that horses experience feelings and emotions based on what they perceive and interpret from their herd members, their environment and the humans they are partnering with. As horses cannot communicate their thoughts and feelings verbally through "human talk", we as horsemen must learn and find different ways to listen to and interpret what the horses are attempting to express to us. By doing this, we open ourselves up to a whole new way of interacting, caring for and growing with our equine companions and partners. A non-refundable deposit of $50.00 will be required at time of registration for the class. The remaining payment should be paid in full, 1 week prior to the date of the workshop. Note: This workshop can be applied to EFW-Can's 60 hrs of Equine cross-training certification requirement. Note: This workshop can be applied to EFW-Can's "personal development" certification requirement. This course is designed to introduce participants to the basic concepts of Level 1 Usui Reiki with an additional focus on equine healing. The material learned will allow an individual to practice Reiki on themselves, friends, family members and their equine companions. A $75.00 non-refundable deposit will be required at the time of registration. The remaining amount should be paid by the date of the course. If you (or a group of people) are interested in taking this course on a different day, please send us an email and we can look to set up a class based on availability. Certificates will be awarded at the completion of each course. Do you ever wonder what animals are trying to say to you? If so, come join us for an evening of discovering new ways to communicate with them! You will be introduced to various techniques to send and receive information they are wanting to share with you. Once you open your mind to experiencing this wonderful opportunity to connect with them, you will leave with a new understanding and appreciation for the animals in your life! Please register by June 11, 2019. Full payment will be required at the time of registration to hold your spot. Thank you. Note: If you have a group of people interested in an alternative date for this workshop, please send Carrie an email for details about how this opportunity could work. Come learn more about the world of the pendulum and muscle testing! Join us for an evening of learning how to dowse, using a pendulum, and muscle test (sometimes referred to as Kinesiology), to help improve various areas of your life. During this hands on, fun and engaging class, you will learn to dowse and muscle test for yourself, another person and animals if you choose to! Please register by May 15, 2019. Full payment will be required at the time of registration to hold your spot. Thank you. No previous experience required and there will be pendulums available for you to use and purchase if you are interested. Join us to deepen your understanding and use of your pendulum and muscle testing tools already learned in the Level 1 class. During our time together we will review the introduction material and give you some practice time to feel connected with it all again. We will also look at how imbalances in the various body chakras, identified using the pendulum and muscles testing, can be used to help bring awareness to what aspects of ourselves, others or our pets (physical, mental, emotional, spiritual) may need support and what the various options of support could be. By identifying and eventually addressing the "blocked layers" of the chakra, one will start to find relief and clarity in various areas of their lives. The body knows what it needs to heal and stay balanced, we just need to find a way to tune into that...and the pendulum is a great way to do that!! We will also look to introduce you to some of the spirit guides you have supporting you at this time. The pendulum is a helpful tool to be able to connect with your higher self and your various spirit guides to find guidance from them. Please register by June 19, 2019. Full payment will be required at the time of registration to hold your spot. Thank you. Join us for an afternoon to explore and learn more about intuition! During our time together, you will learn about what intuition is, the benefits of using it in your life, how to work with and develop it, as well as what your strongest form of intuition may be. Through the various exercises, you will have plenty of time to practice and strengthen your connection with your intuition! No previous experience required. Everyone is welcome! ​Please register by July 14, 2019. Full payment will be required at the time of registration to hold your spot. Thank you. In this two part, hands-on class, you will learn how to give card readings for yourself and others! In Part 1, you will learn about communicating with the angels/other spiritual guides, how to receive guidance from them through the cards and finding out what they want you to know about your life path and future. In this part, the focus will be on doing a card reading for yourself. In Part 2, the focus will be on doing readings for other people. By participating in both classes, you will develop a feel for which type of reading is your style and comfort. If you feel guided to bring more awareness, laughter and love to all of those around you and int2o your life more, then this is a workshop for you. ​Please register by June 30, 2019. Full payment will be required at the time of registration to hold your spot. Thank you. During this time together, you will learn how to identify tension in your horses body, a way to help release that for them, as well as how to identify how and when your horse has released the tension, all while working with the body's energy meridians. 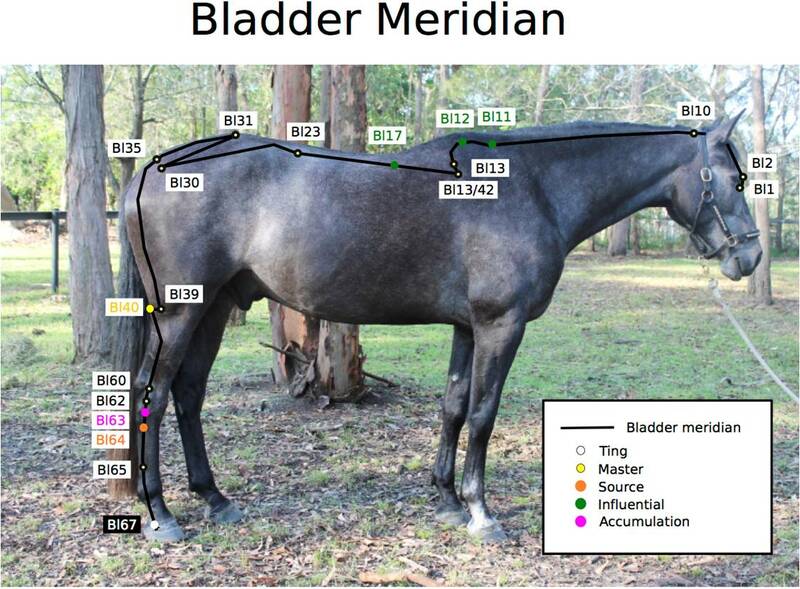 This is something that we have started to include in our Equine Facilitated Learning programs, and it has proved to do wonders for the horse but also the individual providing the treatment! There is no previous experience required and anyone is capable of performing this helpful practice. You are welcome to bring your own horse, or partner with one of ours. There will be limited spaces for this class. ​Please register by June 5, 2019. Full payment will be required at the time of registration to hold your spot. Thank you.